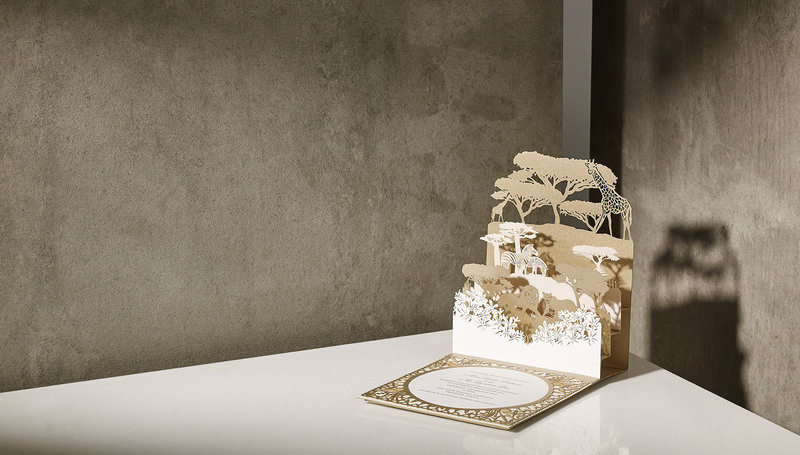 A stunning wedding stationery suite for a wedding adventure to the Four Seasons Lodge Serengeti, Tanzania. 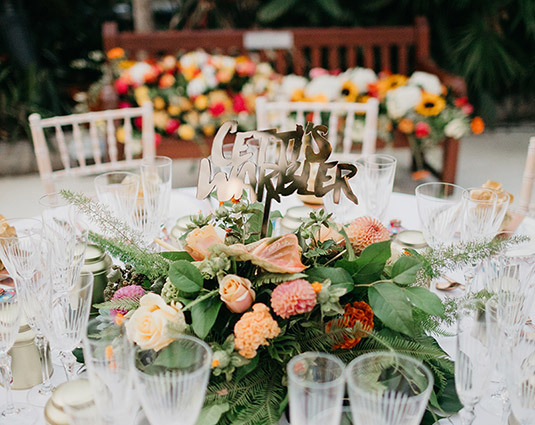 We worked closely with Sophie, Lyndon and their event planners to create this truly exceptional stationery suite. 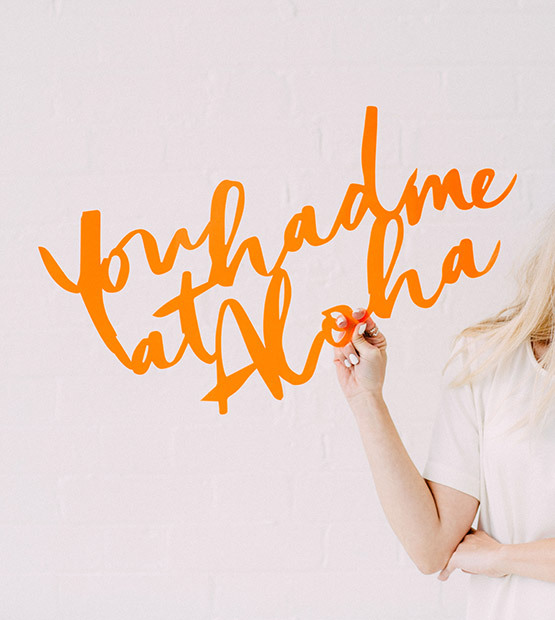 Sophie and Lydon flew their guest to the Serengeti, therefore, required a form of ‘ticket’ with itinerary, we created this using simple ticket style, silk screen printed cards housed in a simple wallet. 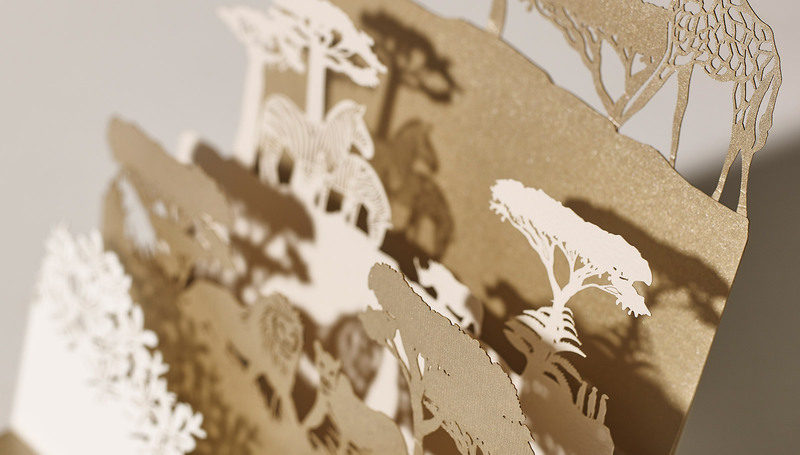 The invitation was then the real stand out moment, a 3 Dimensional, laser cut, pop-up invitation, with an African filigree laser-cut pattern to create the essence of their African adventure. 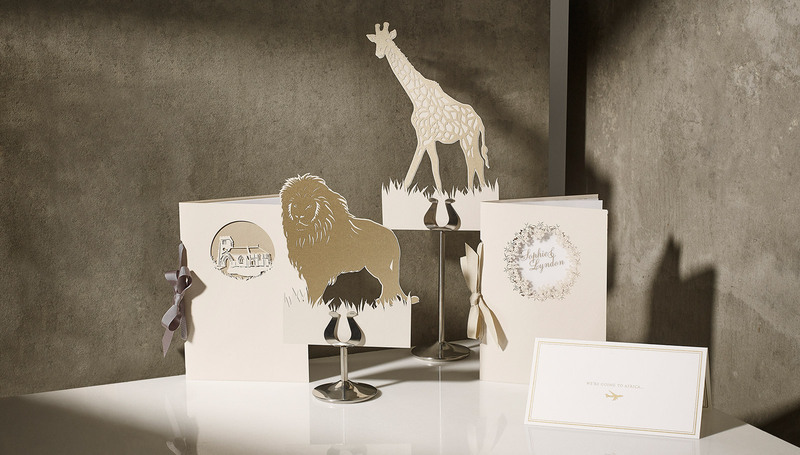 The Day stationery simply had to incorporate layered, laser cut paper wild African animals for the table styling! 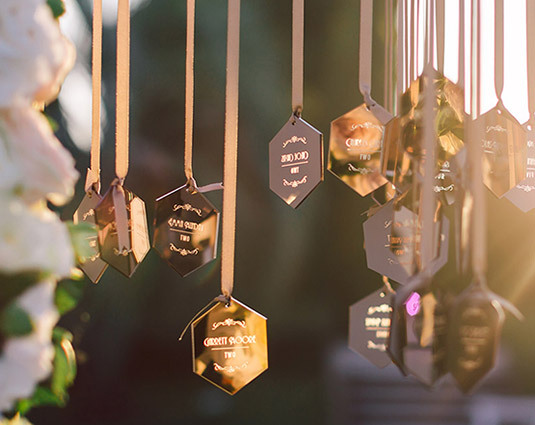 Head over to photographer Pippa McKenzie’s blog to see the incredible photographs of this African dream..
Intricately laser cut pop up invitation in luxury G.F.Smith essence, natural and mist cardstocks. 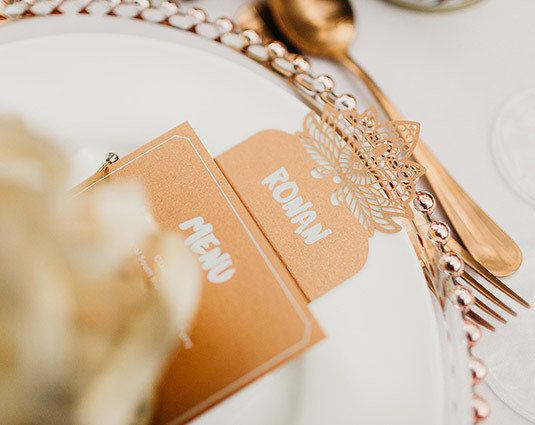 Wording is silk screen printed in metallic essence to the base, while silk screen printed information and reply cards are held within a laser cut wallet to the reverse of the invitation. Invitation sent out in custom natural diamond point envelopes. Guest flight tickets and wallets silk screen printed in essence onto natural stock. 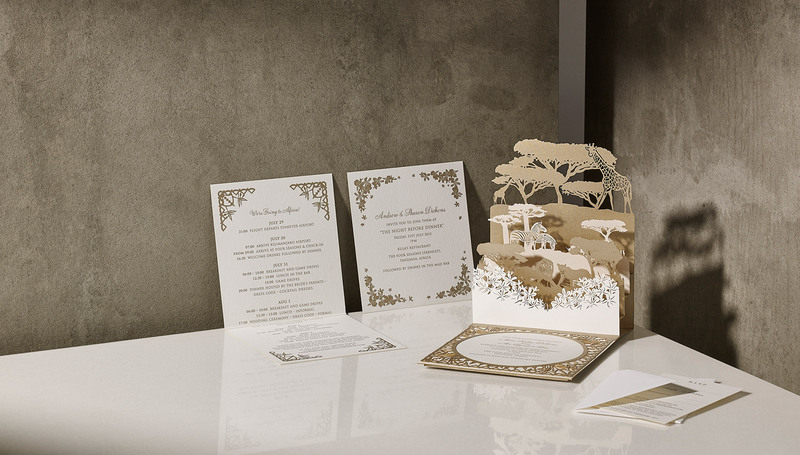 Digitally printed day stationery suite created in matching stocks with laser cut detailing throughout.